The FTC - Feathercoin virtual currency was released on 03/05/2013 and works without being controlled by a reserve bank or single administration. The decentralized virtual currency uses the proof of work (pow) consensus and it is mineable, using the Scrypt algorithm. We have made a calculator for Feathercoin, to help estimate the profitability of mining the coin. We have built a mining calculator widget, which you can use on your blog or website. Feathercoin can be found online, on social media sites like Facebook, Reddit and Twitter. We don't have any cloud miners listed for Feathercoin yet, check back soon! Visit our full feathercoin mining calculator. 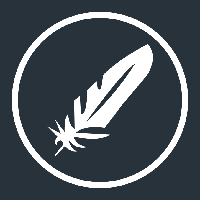 We don't have any wallets listed for Feathercoin yet, check back soon! We don't have any debit cards listed for Feathercoin (FTC) yet, check back soon! We don't have any price charts listed for Feathercoin yet, check back soon!